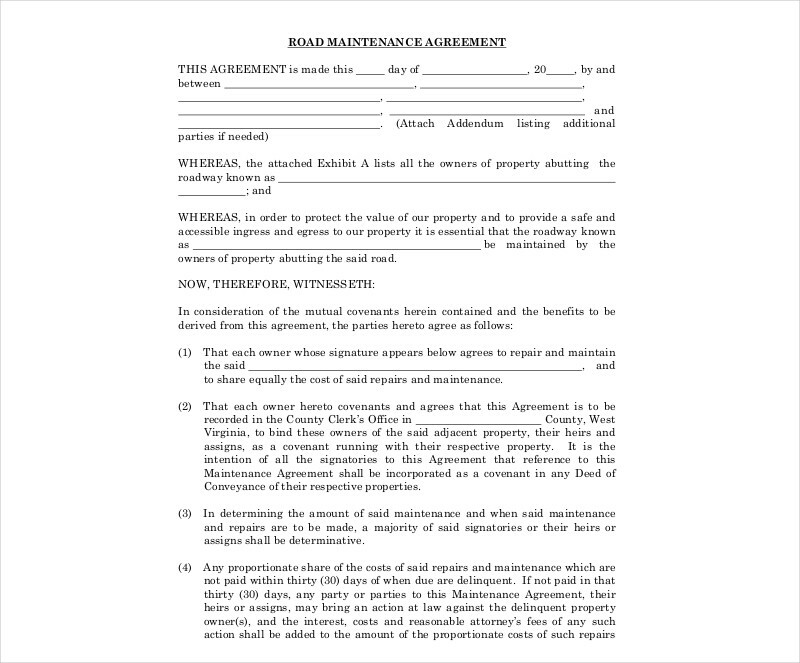 When it comes to agreements, then you’ll fin a ton of different Business Agreement Examples and Management Agreement Examples & Samples that you can find all over the internet. The reason that they’re even there in the first place is to give you an idea on how to make them or what they’re intended for. 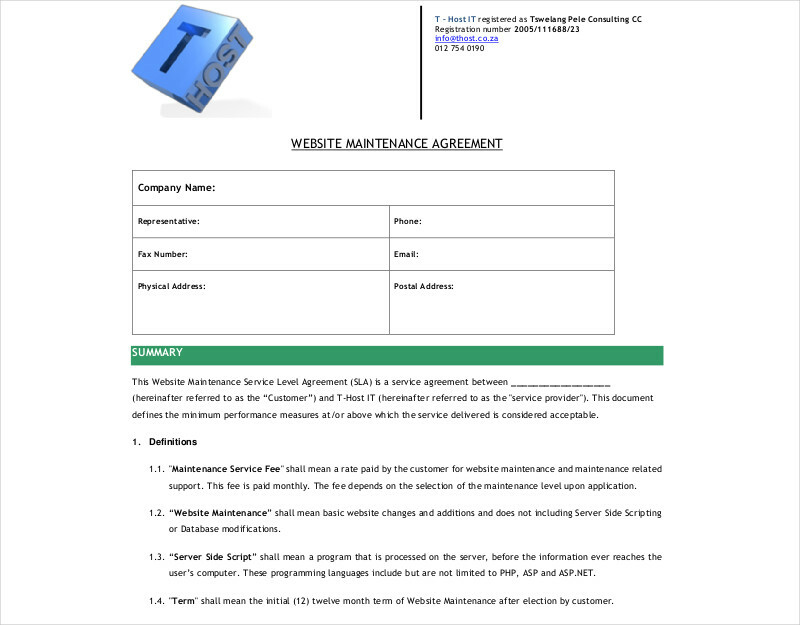 For example, if you want want to ensure that both you and another party come to an understanding regarding how a particular service will be conducted, then you’ll need to look up examples of Services Agreements. But what if this particular service will focus solely on maintenance? 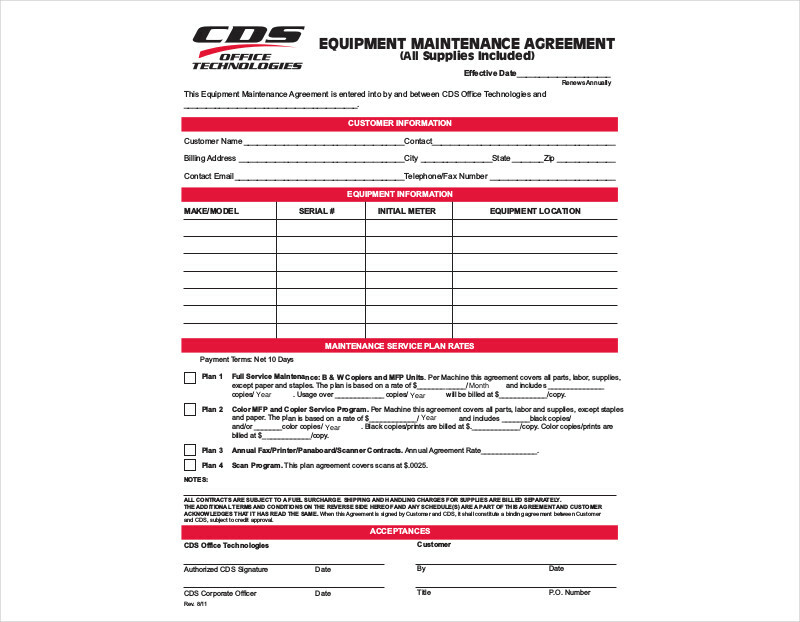 This would mean that you’ll need to come up with specific maintenance agreements and this article will give you all the information that you need. It’s the same as when you’re required to create Stock Agreement Examples or even Assignment Agreements where it will need all the information both parties need to understand what it’s all about. This means that there will be certain pieces of information that will be required in order to make the agreement official and valid. 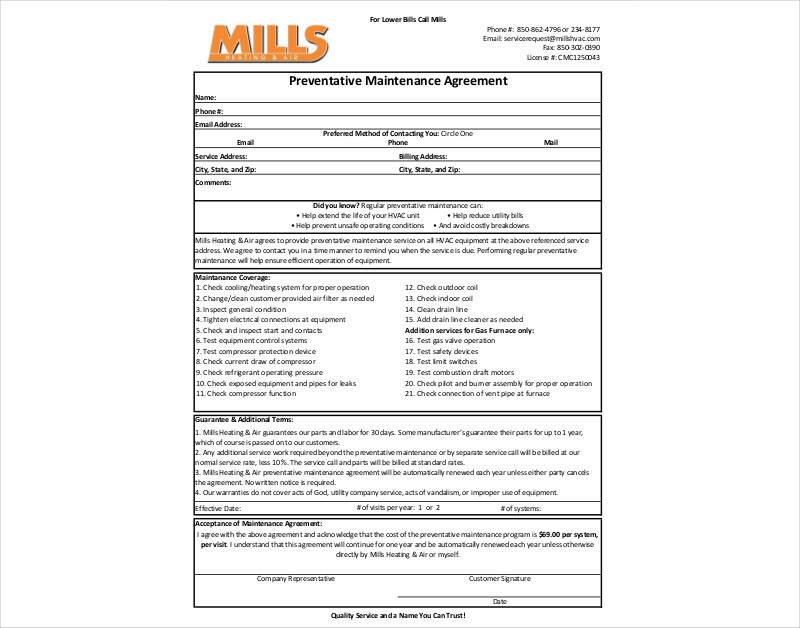 Draw up a section for official definitions at the very beginning of the agreement document. 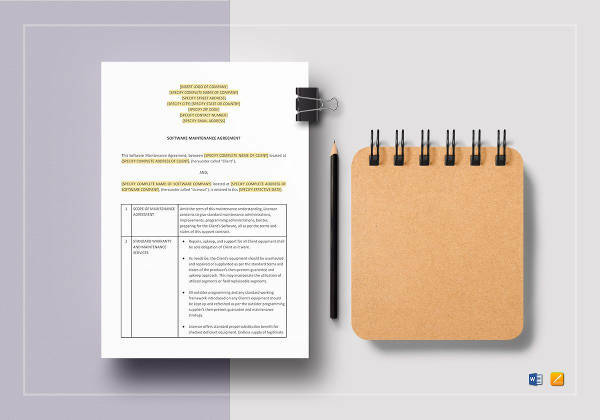 Much like creating a Work for Hire Agreement, you’ll want to point out the two parties that will be involved – namely the service provider and the client. What you’ll want to do is list down the full legal names of both party members. Define any ambiguous terms you intend to use throughout the contract such as the “type of work”, “contract year, and even the technician. 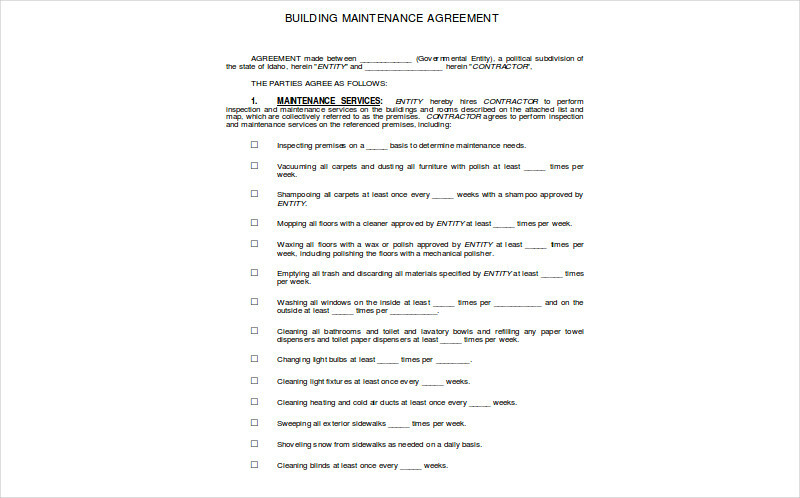 You will then have to write about what kind of maintenance services will need to be performed early in the basic contract. When you’re doing this, you’ll have to be very detailed as to what kind of maintenance you will require the service provider to do. 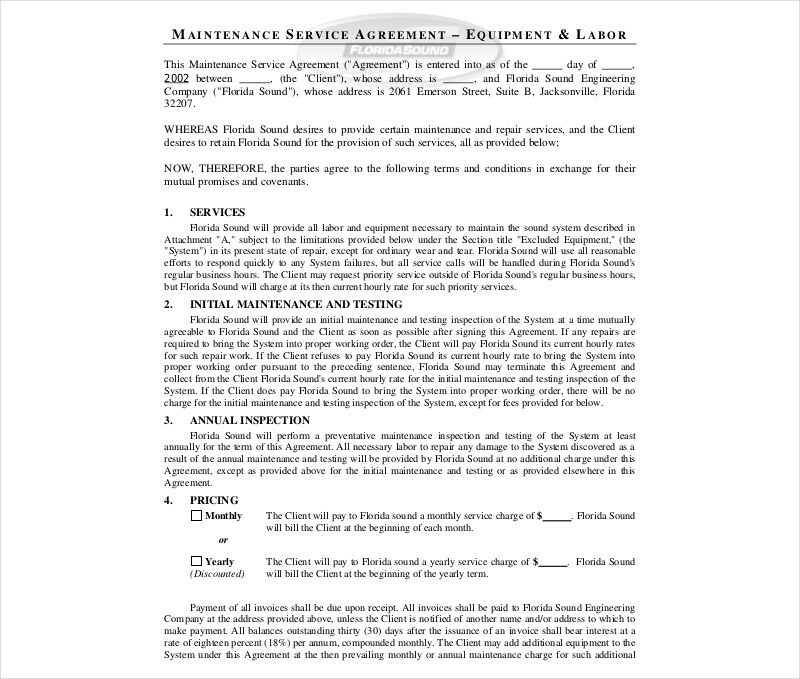 Remember that you have to be very specific so if you require that the maintenance worker has to fix the elevator in your establishment, then mention that in the agreement contract. 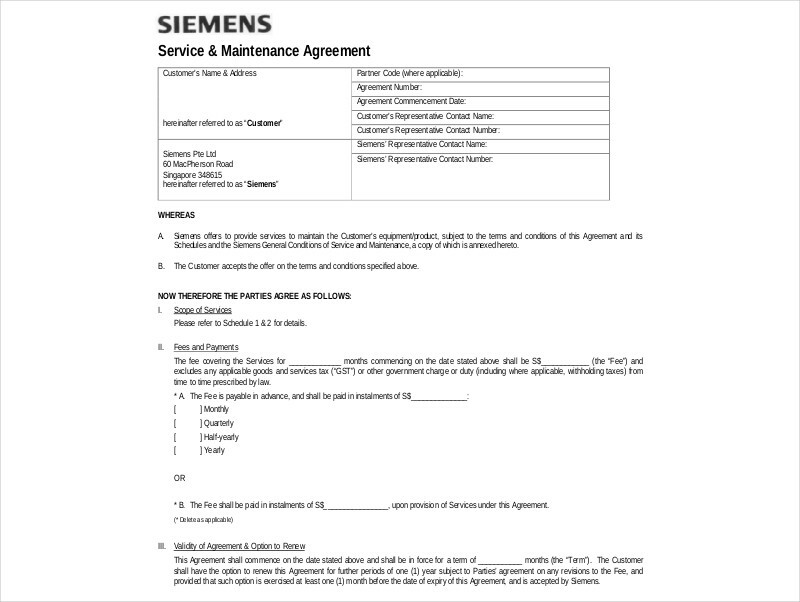 Consider revisiting and revising this portion of the contract before renewing it to ensure so you can make sure that the agreement includes all of the tasks that you need the service provider to do. Considering the fact that this person will be providing your with work, this will also mean that he or she will need to be compensated for it. 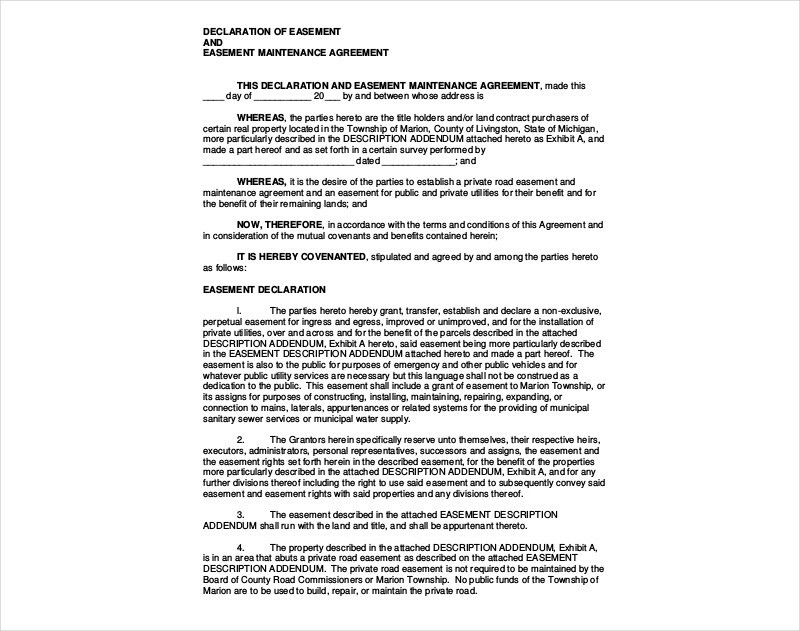 It’s pretty much similar to both Sales Agency Agreement and a Consulting Agreement where you’ll need to specify the details on how the compensation works. So you’ll need to state if the service provider will be paid by the hour or for every job that has been completed. 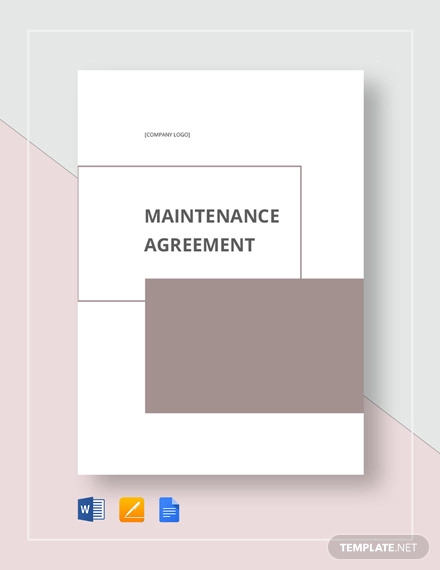 Also, the agreement will also need to state the amount in which the service provider will be paid for the maintenance. 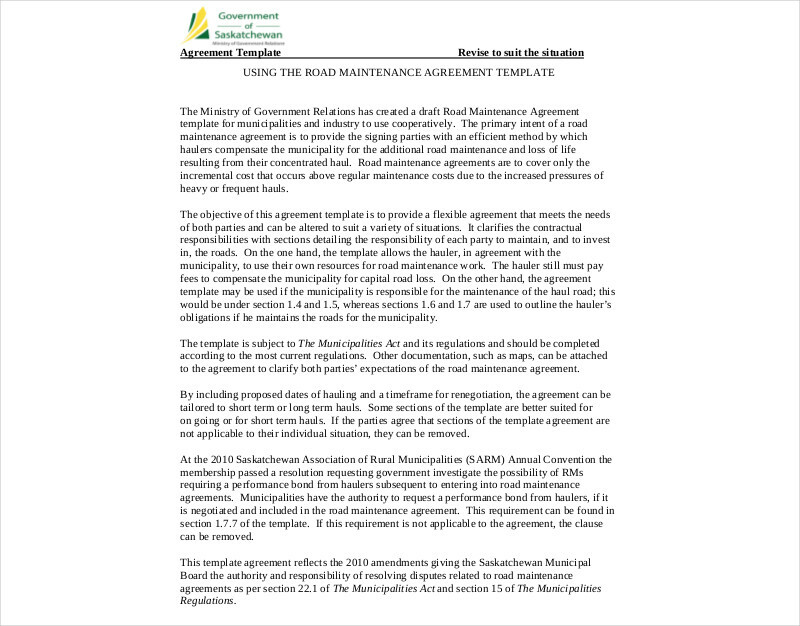 The agreement should have a section where it states that both parties who are involved in the sample agreement are going to comply with all legal statutes throughout the life of the relationship. This should also discuss the consequences should either party break any of the agreements that have been made. This is basically a security measure to ensure that both parties will do whatever they can to fulfill whatever they are tasked to do. You may decide, for example, to include a clause stating that the contract is automatically considered null and void in the event that either of the people involved in the agreement has been convicted of fraud or any other criminal acts. This is one good way of dealing with termination as you’re able to state what conditions have to be met in order for the agreement to be legally terminated by either party. 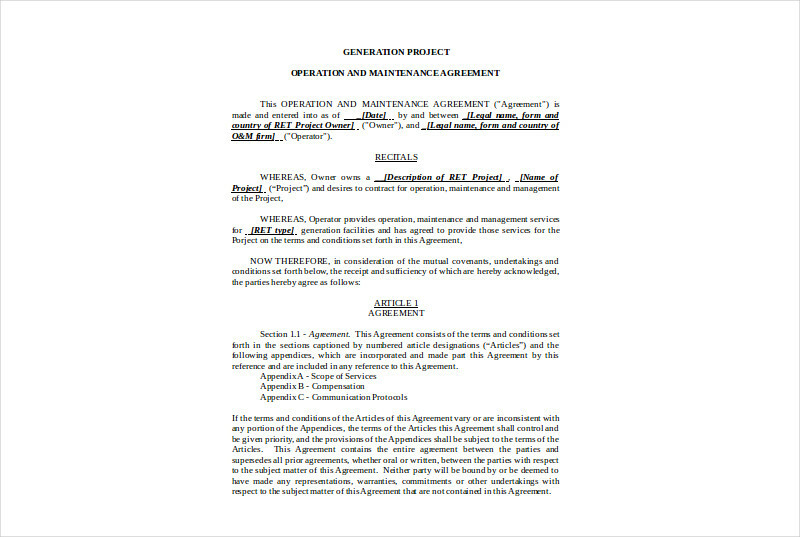 You may also see simple agreement letter examples. Also, this is a way for you to ensure that should the service provider do anything that will terminate the contract, you will not be held liable for it. Be sure that you’re very clear on how this should all be handled. 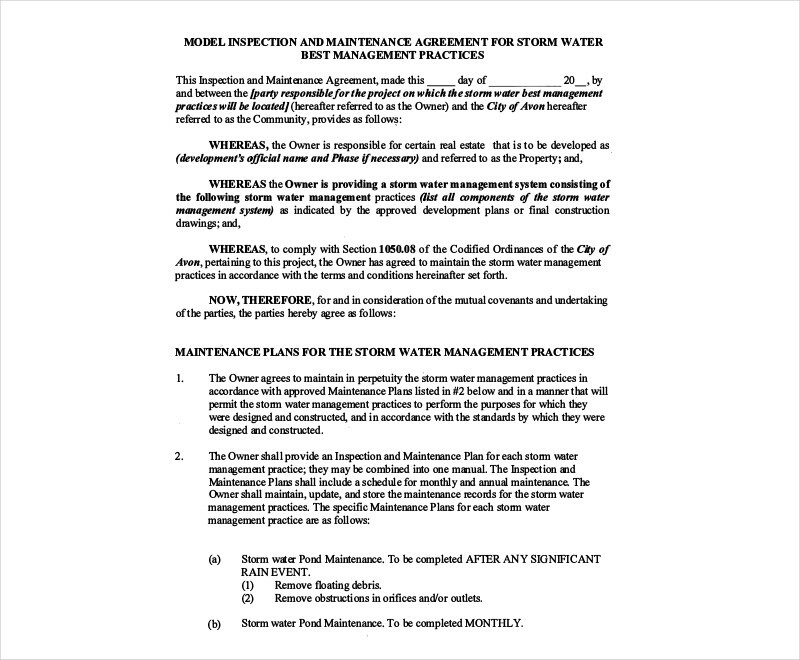 You may also see termination letter examples. 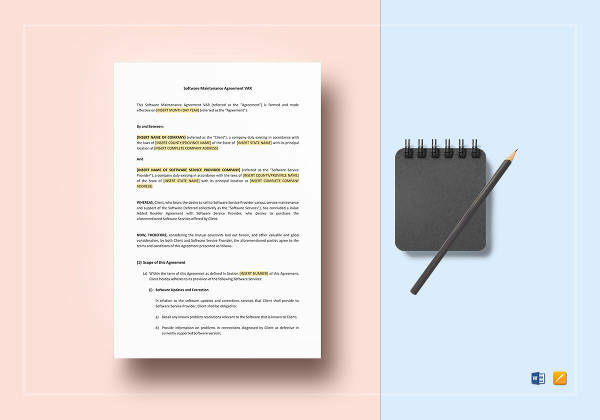 Once you’re done creating the agreement, just proofread it for any issues related to grammar, spelling, and information to ensure that you spot and fix them immediately. In the event that you would like to learn how you should go about in creating other types of agreements (indemnity agreements, License Agreement, etc. ), then all you have to do is go through our site. We have all the articles you need that should be able to help you or your business with whatever situation you’re facing.